Many aspects of this site, and the solemn rites performed at each Armed Forces Night are dedicated to preserving their memory and the common values and traditions they shared with us. The links above the picture will take you to other pages dedicated to remembering our veterans. This page is intended to help visitors understand the significance and meanings of the Canadian observance of "Remembrance Day". Armistice Day or “Remembrance Day” as it has come to be known in Canada, originated following the end of the First World War. The Armistice agreement was signed between Germany and the Allied Forces in Paris on Monday, 11 November 1918 at 0500 hours. The ceasefire went into effect at 1100 hours the same morning. The eleventh hour of the eleventh day of the eleventh month. down their lives to achieve it. In Canada, from sea to sea, at precisely 1100 hours local time, all businesses, factories, schools, offices and even traffic came to a halt for the two minutes of silence. In April of 1919, legislation was introduced in the House of Commons to provide for an annual Armistice Day. All members of the House agreed that setting aside a day to honour the war dead was of high importance; however, some disagreed on whether that day should be fixed as the 11th of November. Some business groups felt that a remembrance day should be held on a designated Monday in November and not specifically on the 11th so as not to inconvenience businesses and employers. In addition to his bill, there were calls for an annual holiday of Thanksgiving Day, which until this time, had been held on a date which varied at the government’s discretion. A proposal was made that the second Monday in November be recognized as “Thanksgiving Day” as a “perpetual memorial of the victorious conclusion of the recent war”. The discussion on the bill was delayed for six months, after which the House never resumed discussion on the proposal. 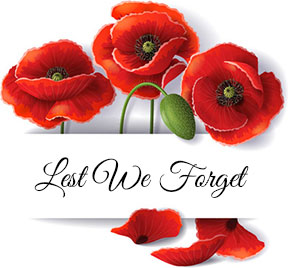 In 1921, the Canadian government introduced legislation to formally establish Armistice Day as a legal holiday. Section 2 of The Armistice Day Act, 1921 provided that every year, on the Monday in the week that the 11th of November fell, should be kept as a legal holiday under the name of “Armistice Day”. This legislation drafted by the government was influenced by Pedlow’s 1919 proposal. As the earlier proposal had been utilized to draft this bill, the question of Thanksgiving Day again came to the fore. Section 3 of the same act provided for a Thanksgiving Day to be held on the same date as Armistice Day. From 1921 to 1931, Canada observed both Armistice and Thanksgiving Day on the same date each year. In 1931 the Armistice Day Amendment Act was introduced. This bill repealed sections 2 and 3 of The Armistice Day Act and substituted a clause which fixed November 11th as Armistice Day. Thanksgiving Day was regulated back to the practice prior to 1921 wherein the date was fixed at the government’s whim.